This entry was posted on Thursday, December 4, 2008 at Thursday, December 04, 2008 . You can follow any responses to this entry through the comments feed . I love the way you think; you make perfect sense. I have several friends, including one carpenter, who are underemployed and underpaid because of this economy. Trickle down economics... meh. Excellent, Michael! Really. Things will change now because they have to just as they did in the 30s. 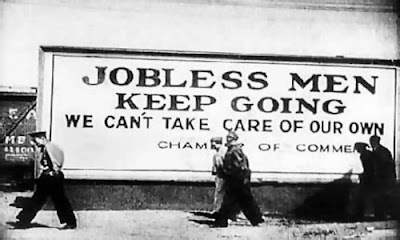 Hopefully people will pay closer attention to the following failure of us as a people that occurred after the first depression instead of abusing those times of thriving that came after the first depression by regressing again into another period of unsustainable consumption. 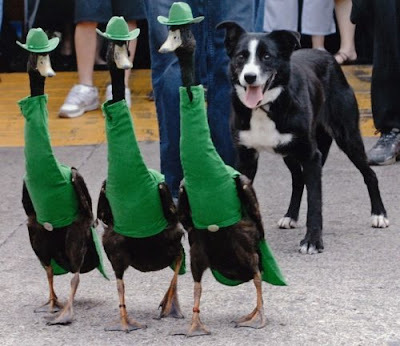 I suppose it won't help to have me say I got totally distracted by those green-suited geese? No?